Join us for Open Studio Hour and make art with your name! 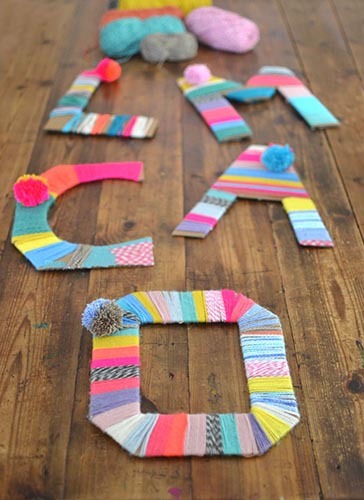 We have two projects for you to choose from, Paint Name Art or Yarn Letters Art. Time to complete varies depending on the project and the number of letters in your name. Plan for at least 20 mins up to 1 hour. We ask parents/caregivers to help their younger children in the projects. A studio assistant will be available but limited upon how busy the studio is. If you end early, feel free to spend the remaining hour creating a project of your choice with the available art and craft supplies. We recommend that you pre-pay for the project of the day to guarantee availability. Supplies are limited and based on first come first serve basis, unless you pre-pay!